Attention to detail makes all the difference when it comes to a repair or complete rebuild of your electric motor or stator. Inspecting all aspects of the motor when pricing the job ensures the quoted price remains the same when the job is completed. 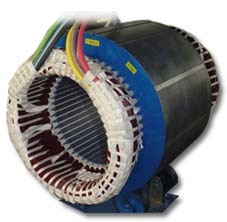 Windings: With today’s high efficiency motors care must be taken right from the initial stages of the repair. Proper removal of the old windings by either chemical stripping or controlled burn are essential for limiting core loss. The insulation we use either matches or exceeds factory specifications. All wire is inverter duty rated and then dipped and baked with environmentally responsible water based epoxy for a very strong superior finish. Balancing: We encourage customers to bring in their couplings or pulleys in order to have them balanced with the shaft. This eliminates any vibration issues when the motor is returned to the job site. Bearings: This is not the place to cut corners. 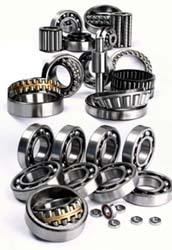 We only use high quality bearings and seals. Your maintenance staff should also be aware of the grease used in the motor …not all grease is compatible. Maintenance: This is an overlooked but very important part of an electric motor. Replacing bearings in a timely manner before they fail is a relatively inexpensive repair compared to replacing a complete motor or winding when it’s too late. Scheduled shut downs are a perfect time to address bearing issues.